Имате въпрос към Avantgarde Hotel? Ако това, което търсите е хотел с добро местоположение в Джохор Бару, не се колебайте, а изберете Avantgarde Hotel. Вълнуващият център на града е само на 10.2 km оттук. С удобното си местоположение хотелът предлага лесен достъп до всички градски забележителности, които задължително трябва да се видят. Съоръженията и услугите предлагани в Avantgarde Hotel гарантират Вашия приятен престой. Подбор на съоръжения от най-висока класа като безплатен WiFi достъп във всички стаи, таксиметрови услуги, 24-часова рецепция, експресно настаняване/напускане, съхраняване на багаж, са на разположение за Вас в хотела. Дизайнът на хотела е съобразен с най-високите изисквания за удобство и комфорт, осигурявани от съоръжения достъпни в някои стаи като телевизор с плосък екран, безплатно разтворимо кафе, безплатен чай, хавлии, безжичен интернет достъп (безплатен). Освен това в хотела можете да се възползвате от множество предложения за приятно прекарване на свободното време. Каквато и да е причината за Вашето посещение в Джохор Бару, Avantgarde Hotel е идеалното място за една вълнуваща почивка далеч от всичко. Great place for short getaway. Good . Fantastic location, just 1minute walk from Sutera Mall . Ample parking space in front of the hotel and there is a guard to assist your parking and luggage if required. . Clean and cleaning is done regularly. Can be better . On Friday night and Saturday night when I stayed, there was music coming from the live music venue about 7 shops to the left. Lasted till 3am on Sunday morning. Not ideal for light sleepers. Housekeeping staff is super helpful to get us what we need and the reception staff is quick to response to our room request. Will definitely come back again. Room is clean. Near Sutera mall and lots of food nearby. 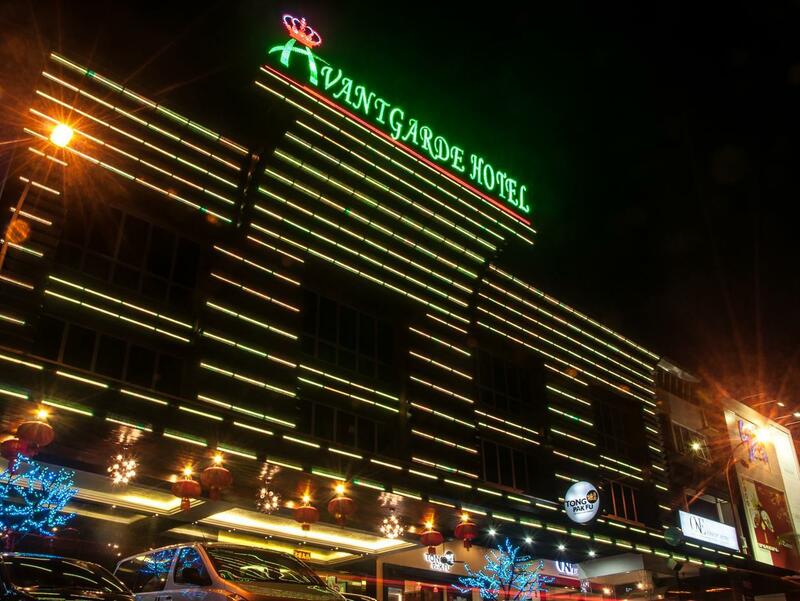 I have used to like Avantgarde but its rooms are getting quite disappointing due to poor maintenance and it seems there are different room standards for the same type of room. 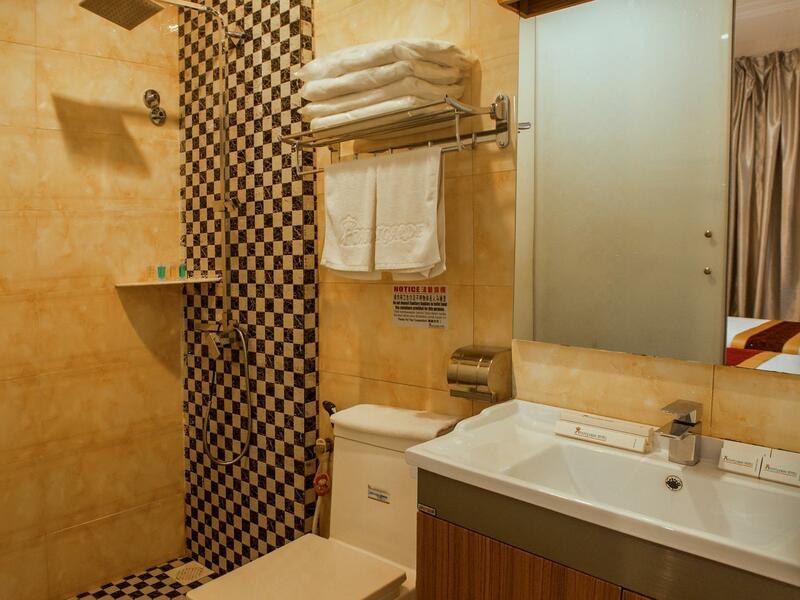 Main issue is the bathroom which lacks a proper shower area, there is not even a shower screen, so when bath, clothes may get wet and whole floor is wet. Some bathrooms are also too dim or dirty. In room, the table is too small. So I may consider going for other nearby hotels unless I really can't get any room. Reception staff were not very friendly and in fact displayed a “can’t be bothered” attitude (can’t expect much for a budget hotel). The room is very simple (then again, can’t expect much for a budget hotel) and the aircon was leaking and water flowed down the TV and electric point. Had to walk down to recept to complain and they simply asked us to change room with no apology. The worst part was that they were not surprised when i went to complain and in fact they were nonchalant abt it. (as if they already knew the problem). Their room rate is really affordable so need to manage expectation accordingly. Think the room was either left empty for long or the environment was dusty. Good thing is they wrap their towel in plastic well. Tough the towel were worn out a little. It's still clean to use. Anyway it was good overall. Plenty of restaurant within walking distance. We have stayed at this hotel for several times, each time we visited Sutera Mall area and stays for 1 or 2 nights. The location is really good, hotel is clean, room spacious. It will always be our first choice at that area. Pros: location of hotel, close to cafes, pubs, eating places such as Korean food, steamboat. Walking distance to Sutera mall and grab about 15 mins to paradigm mall. Cons: the room size is small, and soundproof not that good. Overall, OK. The front desk staffs were not so friendly to guests as minimum assistance was given when asked about parking fees and so. Water was leaking out from the air conditioner. The items underneath it was soaked-wet. The staffs at front desk were not very friendly to my guests upon their check in. The room is just okay and looks rather old. The worst part is the air condition was leaking and almost wet my guests luggage if they had put it under the air condition. I have nothing to complain for this hotel. 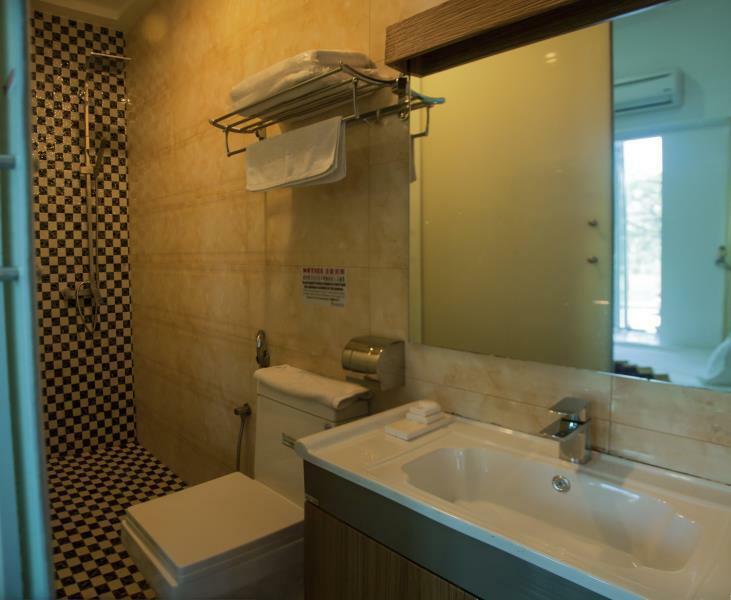 Good walking distance to sutera mall which fit our purpose for choosing this hotel. They let us checked in early which is a bonus. Room is clean and staff are friendly as well. 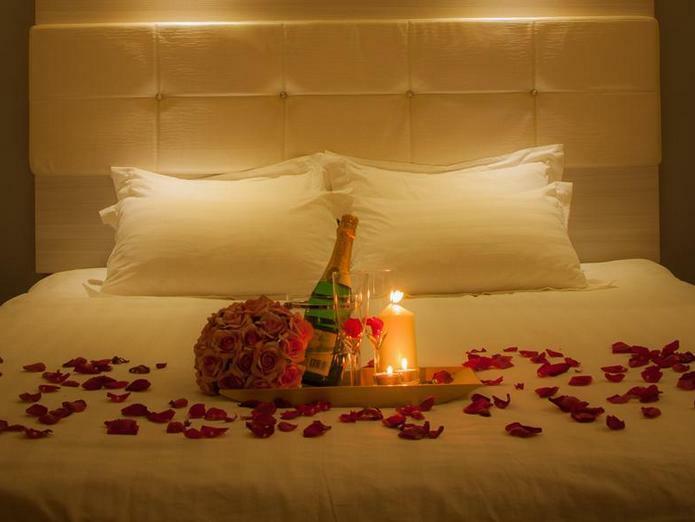 Except one thing, One morning we went out for breakfast, and came back in surprise found the cleaning service staff in our room which we didnt ask. Since we left our important possession behind in the room, so we felt a bit uneasy for that. But nothing was lost, so it was totally fine. Please be mindful that you only can find yourself surrounded by Chinese restaurants like 99%. So if you are a muslim like us, you need to search a bit for a good halal food. no qiblat direction in the room so do your research if you want to stay here. I give this hotel 4.5/5. Thanks! Good location. There are a lots of restaurants and cafes nearby. Sutera mall is in walking distance as well. Thumbs up for the whirlpool bathtub. Great location, parking roadside but with security guard. Room clean. Only is the aircon compressor just beside the window so a bit noisy..
Near to shopping mall and lots of good food around. Near to Sutera Mall. The room is clean and quite big. Staffs are friendly. Location nice at shopping mall. Just toilet water is not circulating and shower head leaks.